If you have a waste disposal unit, then you might think that you can dump all your kitchen refuse down the sink. Anyone who had to take apart their p-trap and dig out of a piece of potato has learned why you shouldn’t ever do this. Save yourself some trouble by making sure never to flush any of the following items down your drain or waste disposal unit. They should always get binned, then if they are in large quantities they can be cleared out with rubbish removal services. 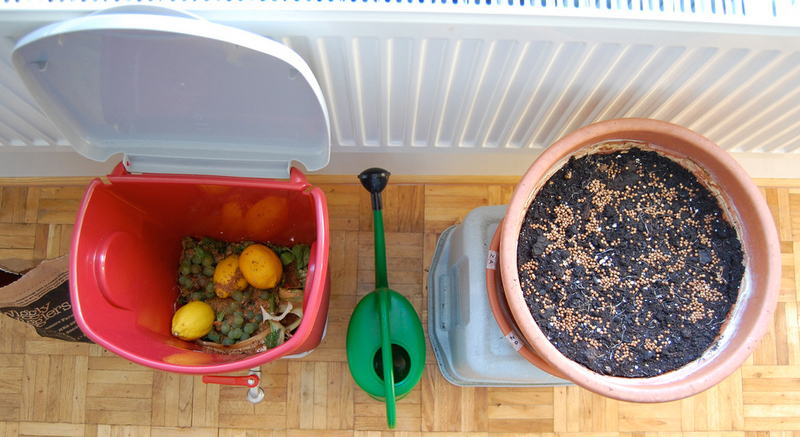 If you’re in an area that allows composting, then that’s an even better solution. You’ll never want to flush celery or other fibrous vegetables down the waste disposal unit since they’ll get stuck. The strings can also catch on the cutting blades and get caught. Both white and green asparagus causes the same problem. Corn husks should end up in your compost heap as well because they have little pieces of thread hanging off them. Most varieties of beans will also get stuck and not go down properly. Potato peelings have a tendency to get caught in the p-trap of drains, so they shouldn’t go down the drain either. Waste disposal units have problems with watermelon rinds getting stuck on the cutting blades as well. Pouring oil and grease down the drain causes such massive plumbing problems that many jurisdictions have actually outlawed the practice. When you pour cooking oils down a drain, it has a tendency to harden up in the pipes. Eventually, if it does make its way out, it will float apart from the rest of your town’s sewage because oil isn’t as dense as water. London and some international cities are now dealing with giant piles of cooking grease in the sewers that the media termed fatbergs. If you strain boiled pasta over your sink’s drain, then you need to make sure that no stray pieces fall into it. Pasta gets bigger when it’s exposed to water, so it can grow to absurd proportions in the drain. Coffee grounds and tea leaves have a tendency to do the same, so keep these out of the drain to prevent sludge from forming. Most people don’t flush inorganic items down the drain on purpose, but accidents sometimes happen. Take care to keep metallic objects from falling down your waste disposal unit. They can actually bend the cutting blades, which might necessitate an extremely costly replacement. Make sure that you don’t ever use your waste disposal unit to get rid of anything you used in the bathroom either. Cotton balls and swabs don’t belong in there.